Covering the complete life-cycle of the base maintenance input from work to component requirements. The platform will list and control all Workcards, Non-Routine Cards [NRC] along with all details, findings, completion progress, alerts, responsibilities, costs and component requirements for each one. Details logged such as Task References, Descriptions, Manhours and Responsibilities. Start Date and progress control until completion. Findings recorded as Non-Routine Cards [NRC] connected with the original Workcard. Alerts assigned to specific Team Members and visible to selected Team Members highlight areas of possible delays/work stoppages. Initial as well as on the job component requirements controlled within Workcard. Additional Costs logged and assigned to customer for online comment/approval. Files, Documents and Photographs uploaded and attached to specific Workcard. 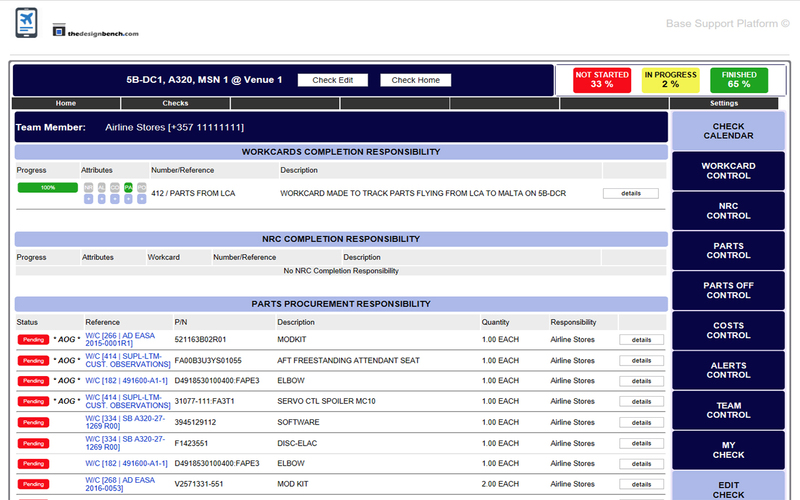 Components required logged and responsibility for procurement assigned to individual users. Live monitoring of all procurement activity including order, AirWay Bill, Proof of Receipt and eventual Issuing to aircraft. Procurement Costs logged as well as Warranty Information for future Claims. Components removed are logged and location specified. 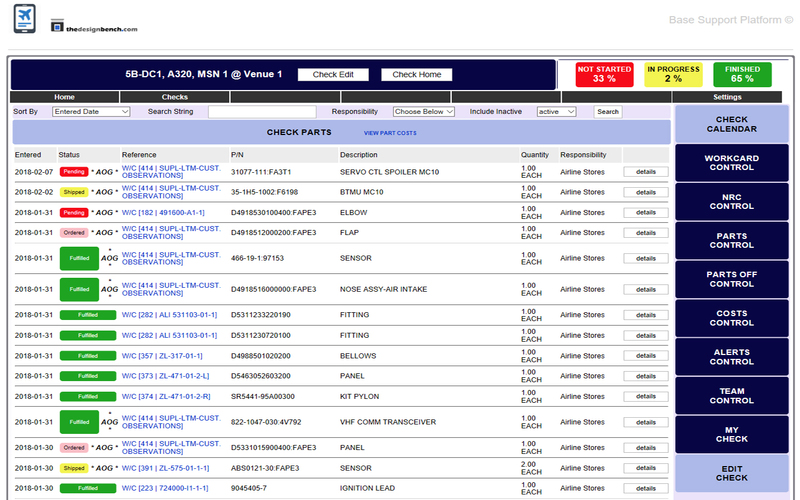 Control of Shipping of Removed Parts to required Destination as specified online by Customer including Dates of Shipment and AWB. Elimination of limited traceability of removed parts resulting in delayed return of Exchange Parts or property lost. Logging of all Additional Costs of Input resulting from Labour hours, Spares Procurement or any other reason. Costs are input by the MRO and are directed automatically for comment/approval to the Customer who can accept or challenge. Each Team member has all responsibilities listed in one panel to assist in their work organisation. Team leaders can view all of their Team's lists of responsibilities and prigress. 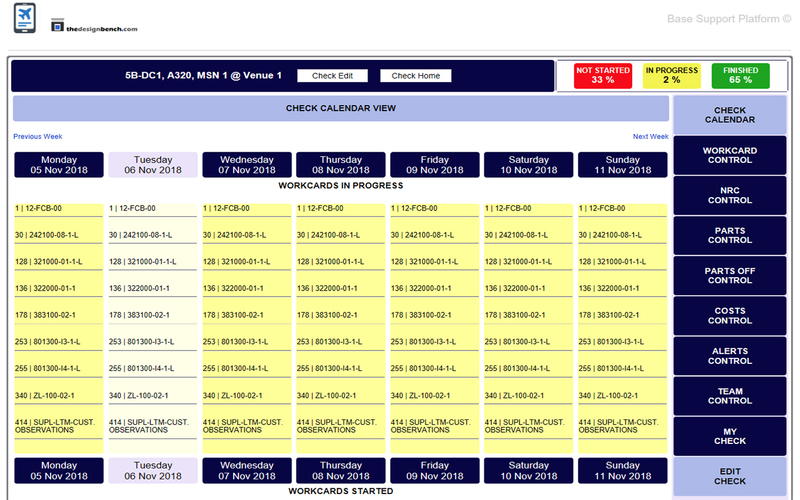 A 'live' listing of all Workcards and their Status and Flags easily searchable, reportable and editable. 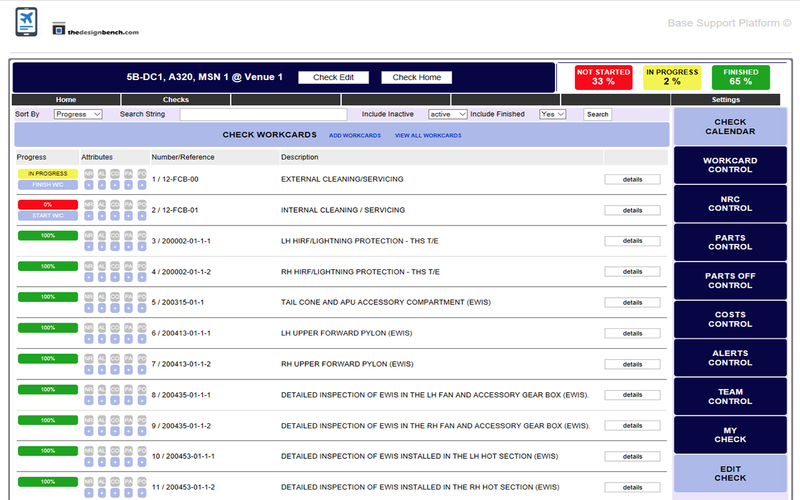 A listing of all part requirements and their Status and Flags easily searchable, reportable and editable. 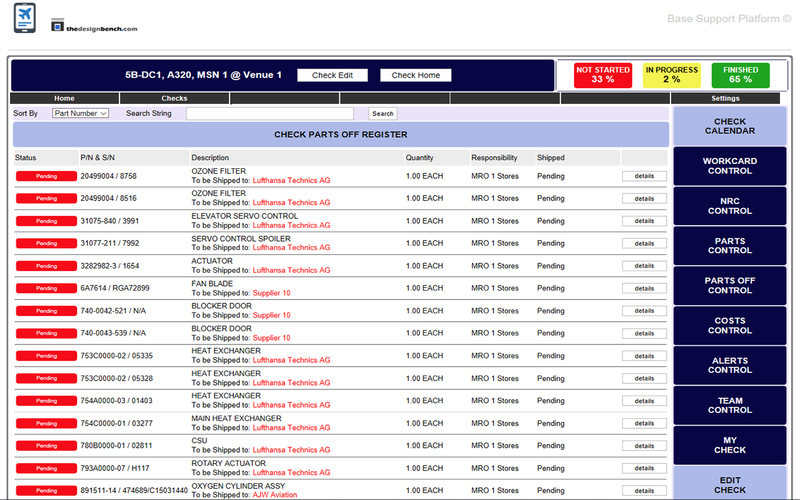 A listing of all parts removed from teh aircraft with individual handling instructions to the MRO. Status of the handling process included so as to avoid misplacements and loss. 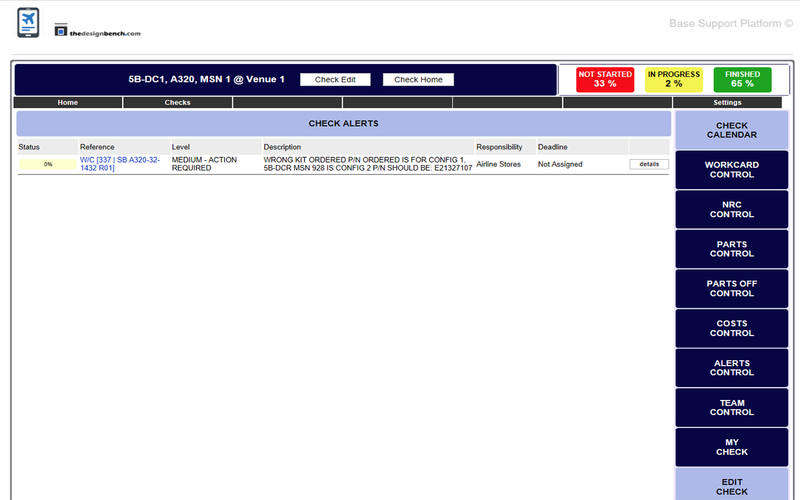 Any object of the Maintenance Input such as a Workcard, an NRC, a Part Requirement can be assigned Alerts. These describe potential problem areas and are made public to selected Team Members at the same time as being assigned to a specific Team Member for action. A clear, clean display of each Team Members areas of responsibility visible to themselves as well as their supervisors, for ease of managing the Work on time. A useful birds-eye view of each individual Base Input Day and the Tasks that start, are in progress or finish. Additionally the parts expected dates as well as other date related information are depicted.